Never tiring and most exciting nights at Barcelona wait for you. Get the fabulous feel of Barcelona during night. Happy music hums in your ears and busy nights lure you fully in Barcelona. Nights in the city occupy you and prepare you to welcome bright sun again. Time absorbs you in Barcelona. Day or Night, Barcelona serves you tight. 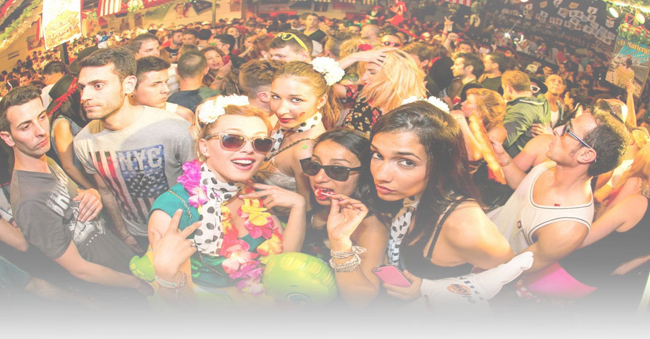 You can party every night in the city as it is so happening with the charm of its Spanish bars, hottest nightclubs and purely pubs. Barcelona holds frequently stag as well as hen parties. At many places theme parties are organized and they add flavor to the feast. Brimming with vivacious and zealous feel, the most buzzing areas where night is more lively and brighter than a day are- Las Ramblas and Placa de Cataluniya. Port Vell attends its tourists by offering excellent pub service and the late night parties go on till 5 in the morning. Another one Port Olympic Casino is a naughty night club luring many for music mania. La Terrazza has an experienced hand as far as nightclubs are concerned. Sala Apolo and Razzmatazz nightclubs rock all ages with rapture. Mac Arena Mar Beach Club illuminates Fridays and Saturdays with beautiful and powerful fun. Nightlife in Barcelona is greatly exhausting. You get extreme excellence along with elegance. Be an active part of this plethora of clubs and enjoy the never withering excitement of Barcelona nightlife.